The two swimming pools held "180,000 gallons of fresh running crystal water". 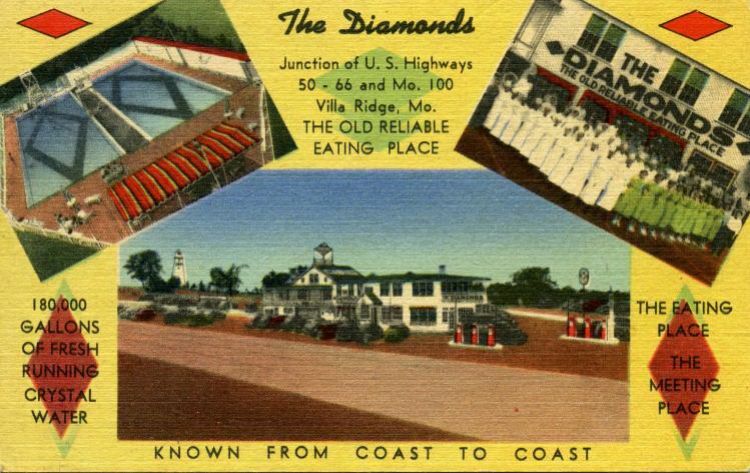 The Diamonds was promoted as "The World's Largest Roadside Restaurant" serving one million customers per year. Restaurant employee Louis Eckelcamp and Nobel kay took over the Diamonds in 1935. A fire so intense that it shut down Route 66 destroyed this building in 1948.